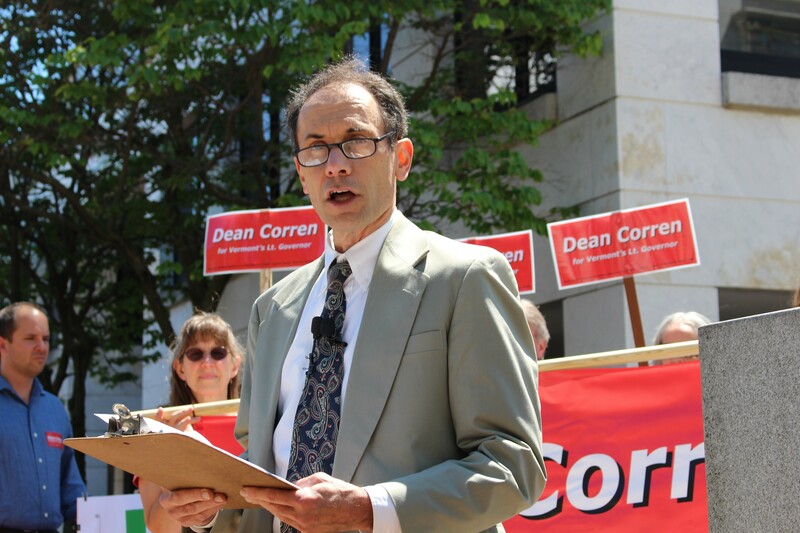 Dean Corren, a 2014 candidate for lieutenant governor, will be back in court next month, after a federal court ruling Tuesday narrowed the scope of Attorney General Bill Sorrell’s case accusing Corren of violating the state’s campaign finance law. Corren, who ran unsuccessfully as a Democratic and Progressive candidate for lieutenant governor, faces $72,000 in penalties and reimbursement in state court action, after Sorrell argued Democratic Party support for his campaign amounted to a campaign contribution. Corren ran for office using the state’s public financing law, which limited him to $180,000 in public money and prohibited contributions from political parties. A federal court ruling by Judge William Sessions III dismissed Corren’s challenges to the penalties based on the constitutionality of certain aspects of the law. But Sessions allowed Corren and others to continue raising constitutional questions about future use of the law. Corren will also be able to challenge constitutional questions about the campaign finance law in the case being heard in state court. Sessions allowed Sen. David Zuckerman (P/D-Chittenden) to join Corren in the case. Zuckerman, who is a candidate in the 2016 election for lieutenant governor, argued he wants to use the public financing law, but that some of its rules make the law unworkable. “As a declared candidate for 2016, he has a clear interest in the resolution of the issues in this case,” Sessions ruled. Corren’s lawyer, John Franco, said he will continue to challenge Sorrell’s enforcement of the law in both state and federal court. Sessions set a January 14 federal court date.